Autumn has arrived and with it brought crisp Austin mornings and weekend days at the pumpkin patch. 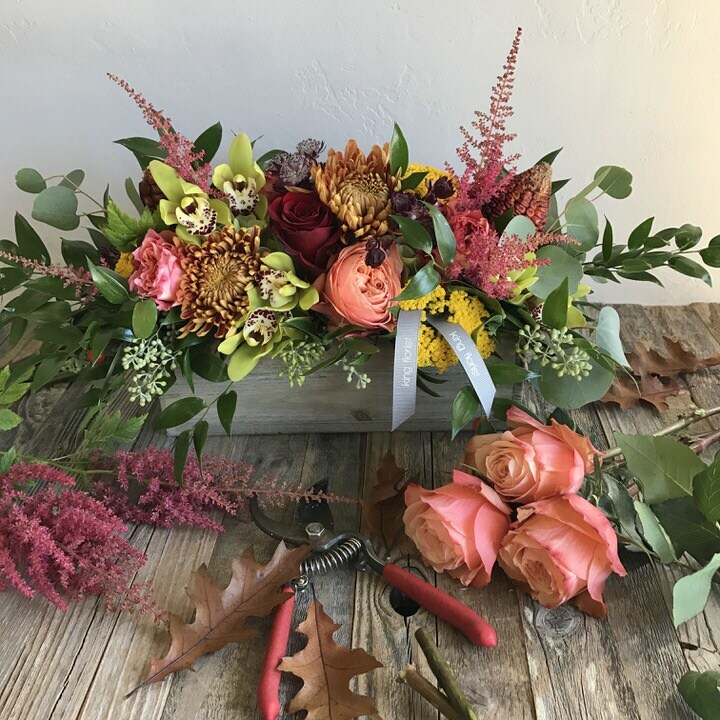 At King Florist, this time of year means more texture, rich jewel tones, earthy hues, and arrangements inspired by the harvest season. Now that Halloween has passed, we’re beginning to think about holiday time spent with family and friends. Our newest designs reflect a feeling a coziness and special emotions that surround the Thanksgiving time of year. For a fall table, we will most often recommend a low, lush style of design. This way, a flower arrangement can be enjoyed along with conversation over the table. Fittingly, we think our new Low & Lush arrangement is the perfect centerpiece for a Thanksgiving spread. The elements in this arrangement are designed in a short and wide wooden box that perfectly mirrors the rustic elements we include in the design. You’ll find textures like scabiosa pods, leucadendron, ilex berries, and kale along with the best and most unique textures each week. 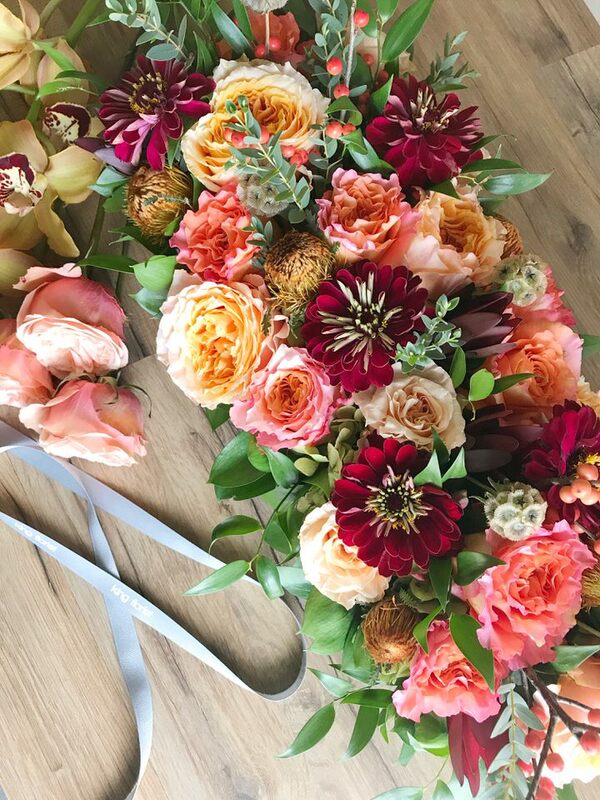 We then include soft and seasonal flowers such as garden roses and zinnias to incorporate a feeling a warmth to each arrangement. Our brand new Flora Box and Rustic Garden are sure to make a statement as gifts sent to your Thanksgiving host. The Rustic Garden sits in a more narrow wooden box perfect for tables that are entirely filled with plates and holiday treats. Our Flora Box is a slightly taller option. It is lush and full and includes cymbidium orchid blossoms - a unique flower that is always a great conversation starter. This year, we’ve also introduced two new succulent gardens for the autumn season. 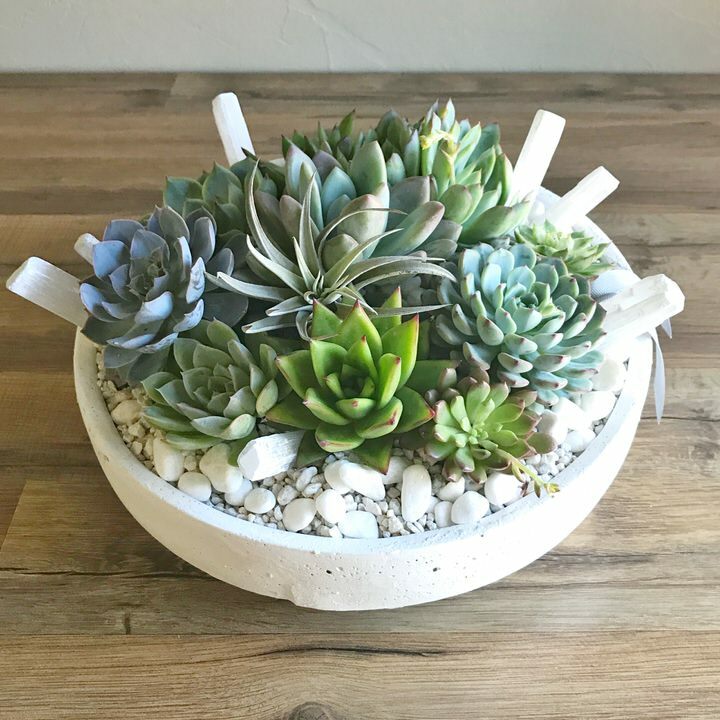 Our Micah Garden features a variety of succulents nestled into our V-shaped metallic container. The focal point of this design is certainly the large amethyst crystal included amidst the river rocks. The deep purple pairs perfectly with the bright and dark green succulents. The Bengal Garden appropriately features small hints of orange moss in between its other elements. Large driftwood pieces and a one-of-a-kind container make this garden a spectacular way to spread holiday cheer with a personal gift. Each of our collections and designs have been updated for the season to reflect the best flowers, textures, and containers that this autumn has to offer. Be sure to check out the brand new Allandale as well as the updated Trifecta and Elegant Garden arrangements. Lately we’re loving colors like rich burgundy paired with soft peach and greenery accents which you’ll find as you browse our selections this month. Hints of gold and amber are also incorporated to create a fall feel while maintaining a sophisticated and sleek style. Two of our most popular succulent garden have also gotten a refresh - the Modern Succulent Rectangle and the Zane Succulents. We’re here to help with deliveries for your own home as well as design gifts for your family and friends. Please feel free to stop in or give us a call. We’re more than happy to chat and customize the perfect option for you! Keep in mind that all-day local delivery is included with each order and we can accommodate same-day deliveries until 2PM (or later - ask us for details!). We deliver to Austin, Round Rock, Leander, Pflugerville, Cedar Park, Lakeway, and more so that you can focus on holiday planning and leave the transport of your flowers or plants to us. Cheers to a fantastic start to the holiday season!